The customer visited us looking specifically for Karndean Designflooring. They wanted something that was hard wearing and family friendly for their home in Kingskerswell. 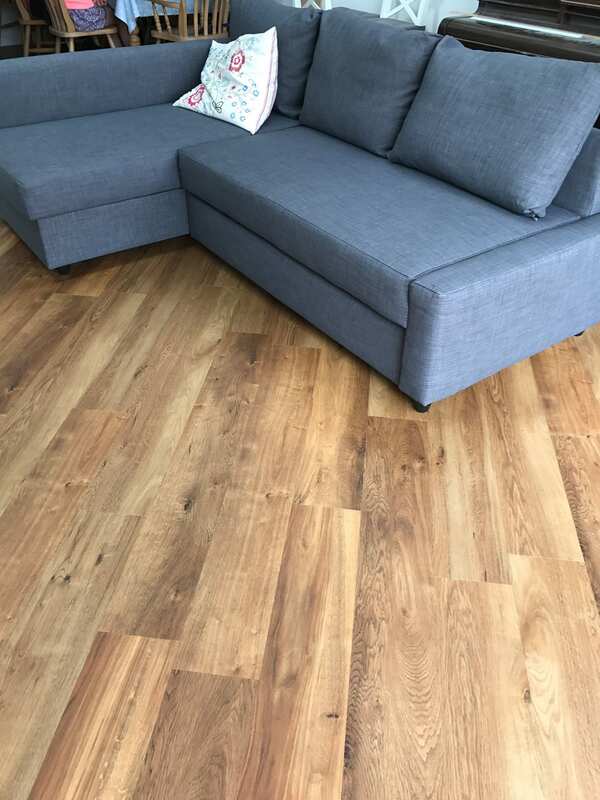 Because of its many features and benefits Karndean had been suggested to them by a builder, who also recommended our company. 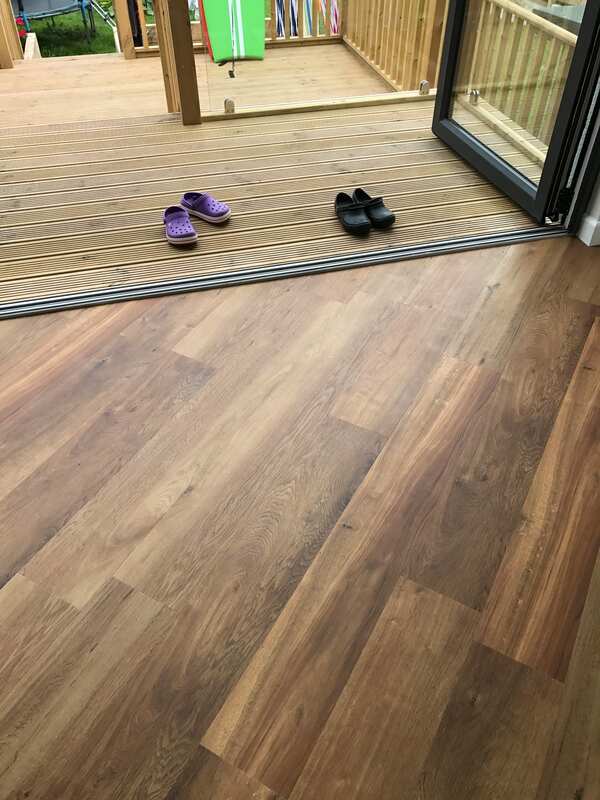 The family knew they wanted a woodplank effect floor throughout the living room, hall, kitchen and conservatory, but the floors were in very poor condition and required smoothing and levelling with two-part Latex Compound. 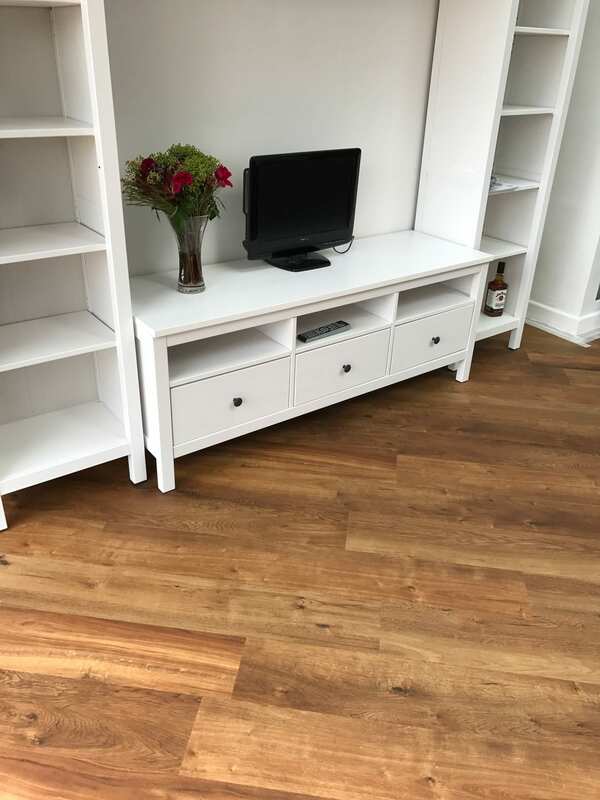 After a few visits to the showroom and a home survey completed by us, the customer chose Karndean Classic Oak VGW86T from the Karndean Van Gogh range. This was laid diagonally by our fitters showing how versatile Karndean can be compared to laminate and wood. We think it looks great!